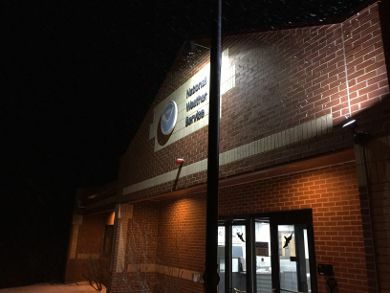 WINDHAM, ME - On Saturday, January 28th, WS1EC team members participated in an Emergency Communications Exercise which was organized by Knox County. The scenario for the exercise was a statewide blizzard, and goals included the exchange of ICS-213 messages via Winlink. GRAY, ME - Amateur radio volunteers were drawn from several area ham clubs including the WSSM, during the winter storm of February 12-13th. First time participants who activated the WX1GYX station in Gray, included Dakota Dumont KB1YYC, Stefania Watson K1GJY, and Paul Leonard KE6PIJ. SACO, ME - Congratulations to this year's overall winner is Patrick Sonnier W1WMU, of Lubec! Patrick scored a total of 242,601 points, making 1275 QSOs. 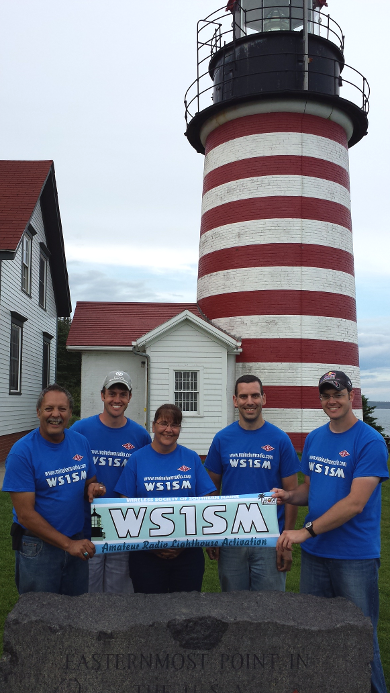 Thanks for representing Maine during the QSO Party, and especially Washington County. For a complete rundown of category, national, state, and county winners, click the link below. 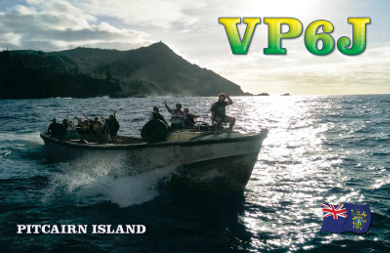 This month we'll take a look at a pair of QSLs from expeditions to Pitcairn Island (VP6J and VP6AH), Laos (XW1IC), and a classic QSL card from ABC, in honor of the final shortwave broadcast of Radio Australia on January 31st, 2017. TALLAHASSEE, FL - Have you ever thought of what the early days of communication were like (before cell phones, HDTV, satellite and cable?) Many members of our club have lived through the changes and probably could spend hours telling you about the "good ole days." SACO, ME - What better thing to do during the summer, than participate in your favorite hobby, while also exploring Maine's iconic lighthouses? Since our first activation of Pemaquid Point, in the summer of 2011, that's exactly what we've done. 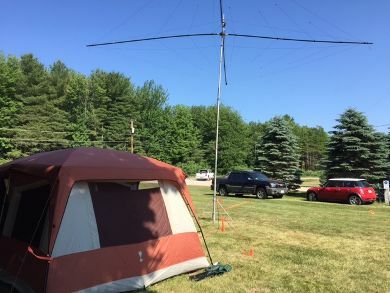 WS1SM Number 1 in Maine for 2016 Field Day! 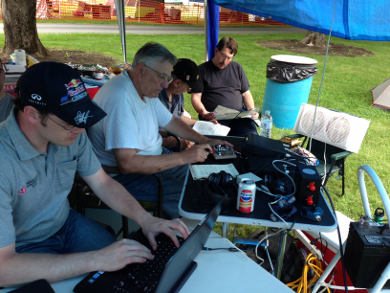 SCARBOROUGH, ME - The 2016 Field Day results are in, and WS1SM finished 1st place in Maine! In only our 6th year competing, this is a huge accomplishment! Thanks to everyone who put in such an amazing effort. WS1SM tallied 1,921 QSOs, and 7,530 points, operating in the 3A category. SCARBOROUGH, ME - Many of us in the club will remember Dana's talent of telling stories during meetings and the seeming ease with which he operated CW. He's also been one of the biggest contributors to our Field Day efforts almost since the beginning. News of his passing hit us all very hard, and we will miss him very much. 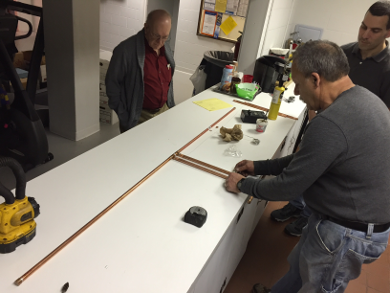 WINDHAM, ME - During a recent meeting at the CCEMA bunker, Paul Courchene KJ6JBH, Charlie Shepard W1CPS, Ryan Michaelson KB1YTR, and Ben Bruns KC1HBL, worked on constructing a 2 meter copper dipole. Thanks to Charlie's pipe sweating prowess, and good teamwork, the project came together nicely. April 13th - from 7PM-9PM at the CCEMA Bunker, 22 High Street, Windham, ME. May 11th - from 7PM-9PM at the CCEMA Bunker, 22 High Street, Windham, ME. June 8th - from 7PM-9PM at the CCEMA Bunker, 22 High Street, Windham, ME. During the month of December, reports began to emerge that upper management of the popular software, Ham Radio Deluxe (HRD), had been blacklisting subscribers in retaliation for writing negative reviews. 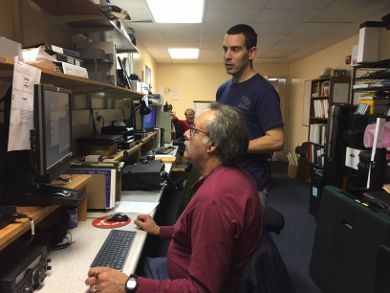 The story sent shockwaves throughout the amateur radio community, but also the business world. Many questions were raised, but the unavoidable theme was that the practice of retaliating against customers who write negative reviews - no matter how harsh the review might be - is unethical, and what HRD did was completely wrong. Reviews are essential to companies in order to gage customer satisfaction. They are also an important training tool to help businesses improve in areas that may otherwise go unnoticed. Chris Boeckelman writes in the article Why Unhappy Customers Are a Valuable Resource, that "Sometimes unhappy customers force companies to confront and solve problems that are negatively impacting their business. And those solutions can lead to major success." Companies like Apple, Ritz Carlton, and Zappos are well known for placing a high importance on culture and customer experience. This focus on culture has set them apart in their fields, and they serve as shining examples not only to their respected industries, but to the entire business world. Providing a truly exceptional customer experience has become trendy and profitable, so how is it that a company like HRD can survive if it doesn't place its customers in such high regard? 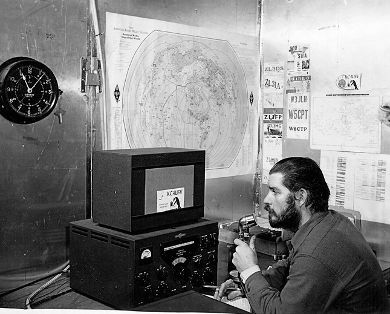 The answer, I'm afraid, lies in the simple fact that software companies that focus on ham radio are very few in number. It's a niche industry that is unaffected by the traditional pressures of competition, which historically is what forces businesses - and individuals, for that matter - to either evolve for the better, or ultimately fail. HRD's behavior emerges from an unrestrained arrogance, that they are in control of the marketplace. They forgot the basic principal that no matter how much control a company has, it is the customer who determines its success. With access to multiple review sites, social media, blogs, and forums, the customer is now more empowered than ever before, and they are not afraid to speak out when something is wrong. Another example of a marketplace that is anemic in competition, is that when the story began to break, QRZ.com (on which HRD is a major advertiser), attempted to protect them by removing negative posts. It's not clear whether this was done at the request of HRD, but when evidence of this began to emerge, subsequent posts were allowed to remain. Similar advertising conflicts may also be why the story has not been picked up by the mainstream ham radio publications. But the important thing to remember is that when enough people are mistreated, whether by an individual, a company, or even a government, the truth will eventually find an outlet.